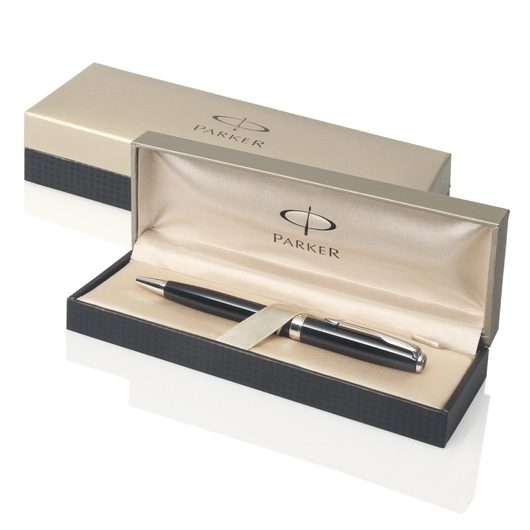 A beautifully crafted writing instrument with the bold Parker name. 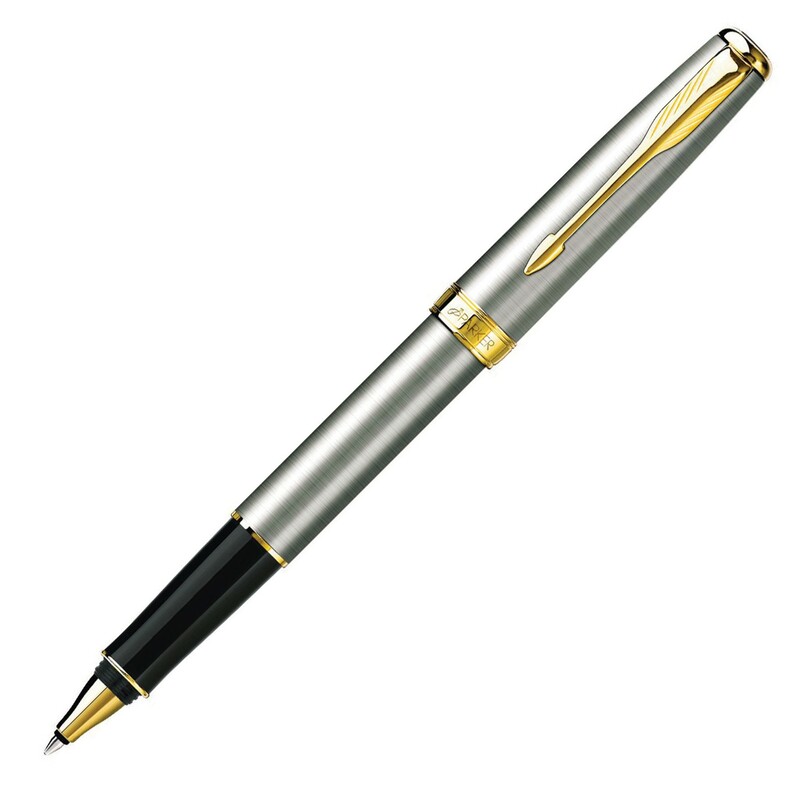 Eloquence, style and class all refined into one carefully crafted writing instrument. The pens feature a stunning stainless steel finish with elegant gold trim and the smoothest roller ball with high quality blue ink. They can be decorated with your logo or personal message and make for a brilliant corporate gift. The perfect medium to put your thoughts into words.